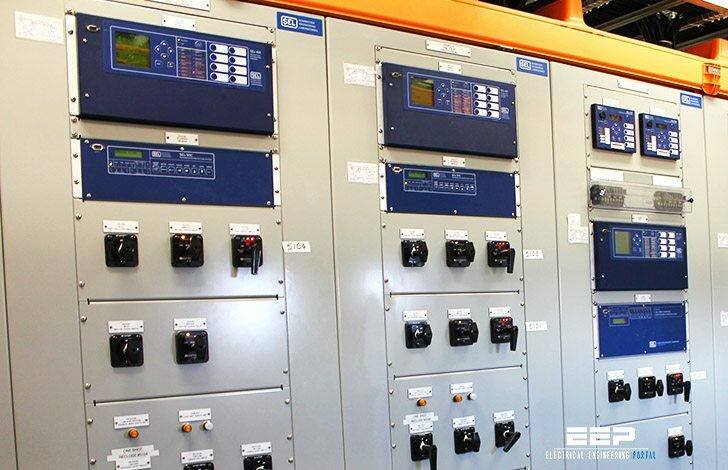 Power distribution systems serving industrial or commercial facilities represent a variety of costs to the owner. Obviously, the capital cost of the equipment is a concern, as is the cost of the energy which that power system delivers to the loads which convert electrical energy to a saleable product or service. There are some less obvious costs – the cost or reliability, measured in products or services which cannot be sold because power is unavailable, or an even more illusive concept, the cost of quality, which relates to customer satisfaction. Ultimately, as the designer of the system struggles with devising a system arrangement and choosing equipment, he must face the reality that no matter how clever he is, no matter how much redundancy he builds into the system, and no matter how much he pays for premium quality components, he simply cannot build a system which will never fail. This is where system protection, and protective relays become important. If component failure is inevitable, then it is necessary to provide a means of detecting these failures. Better and faster protection afford a number of desirable attributes, all of which ultimately result in saving the owner of the system money through cost avoidance. When component distress is detected and corrected earlier, the damage associated with the failure is minimized, which results in lower repair costs (or even the ability to repair versus the need to replace). At the same time, faster and more sensitive detection of problems means that the cause of the problem can be corrected while it is still a minor problem, and before it escalates into a major catastrophe. Thank you So much EEP. I found very valuable information for Selection of Relays. How can i download pdf books? When i click on the download tab it doesn’t do nothing. Can you please explain me about transformers neutral grounding, and why auxiliary transformers are Earthed through NGR and not solidly Earthed? where as grid side HT transformers & distribution transformers are solidly earthed? Hi,guys how is the best effective way to understand circuits. I have a certificate as electrician (distance learning ) but when it comes to troubleshooting faulty circuits i got stuck. I work mostly with restaurant and bakery equipment as ovens, dough mixers, bagel formers etc.I would appreciate any advice.My goal is be a good troubleshooter. Thanks a lot for good information.